The Palos Verdes Library District, with support from California Humanities, recognizes Asian Pacific American Heritage Month this May with a series of programs featuring the culture and history of the Japanese American community on the Peninsula. Please join us as we explore and celebrate through music, food, language and dance, the many contributions of our diverse and vibrant community. Asian Pacific American Heritage Month (APAHM), which celebrates the contributions and culture of community members with Asian Pacific American (APA) heritage in the month of May, was established in 1990 when the United States Congress passed Public Law 102-405. May was selected to commemorate the first immigration of Japanese to the United States on May 7, 1843 and the anniversary of the completion of the transcontinental railroad, primarily built by Chinese immigrants, on May 10, 1869. Today, APAHM serves as a reflective and celebratory month where we pause to recognize the contributions of our local Asian Pacific American communities and those abroad while learning more about our American history and the history of our APA communities in their ancestral homeland and in the US. Our local APA communities include families that have lived in the US for generations, indigenous Pacific Islander groups living in US states and territories, and those that have come to the US as immigrants or refugees. The range of communities and cultures that APAHM covers is vast and ranges from those with ancestry from over 50 different countries such as Japan, China, Korea, India, Bhutan, Laos, Philippines, Vanuatu, Kiribati, and Tonga. 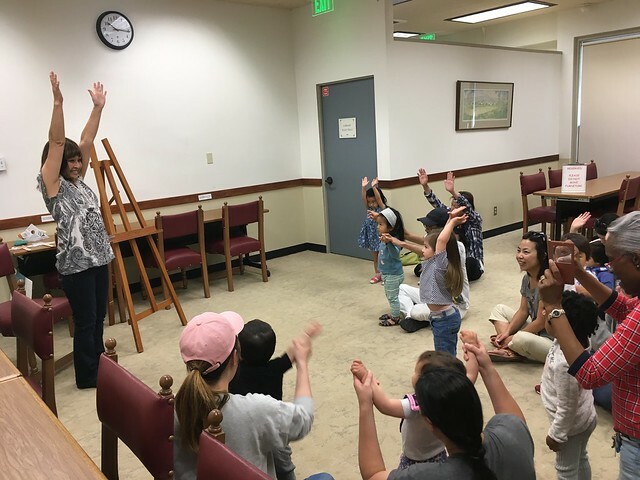 As part of the project “Japanese Americans on the Peninsula: Learning from Our Past to Look to Our Future”, the Palos Verdes Library District celebrated the Peninsula’s growing, changing, and diverse community through a series of events for all ages during Asian Pacific American (APA) Heritage Month in May 2017. The project was a recipient of the 2016 Humanities For All Quick Grant Awards which are granted to projects that give expression to the extraordinary variety of histories and experiences of California’s places and people. We highlighted our Japanese American community for our first APAHM celebration to honor our community’s Japanese American farmers who settled the Palos Verdes Peninsula in the early 1900s and highlight our increasing and changing Asian Pacific American demographic. Learn more about PVLD's commitment to celebrating diversity. A project of the Palos Verdes Library District to identify and tell the stories of the Peninsula’s Japanese American settlement to educate future generations.